You’ve seen us tackle the Carbonite Backup software – Emory Rowland found Carbonite effective and simple to use – but Carbonite isn’t the only star in the file backup galaxy. 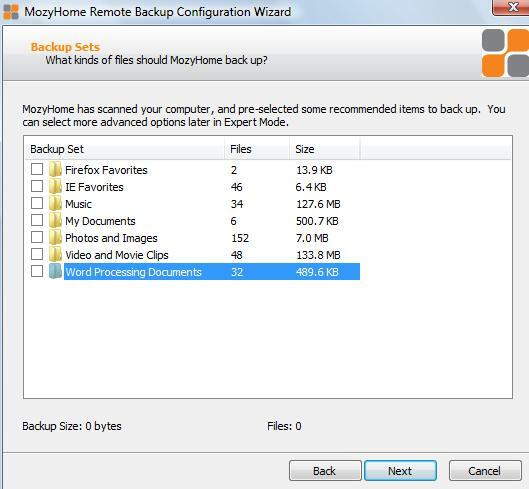 There’s also Mozy (mozy.com), the reasonably-priced and award-winning easy download that lets you back up your files in similar fashion. So how does Mozy stack up? Is it worth the price? Let’s take a Mozy on down (pun intended) to their site to see what we find. Of course, why not start with the most pressing issue: pricing. How much will this set you back? You’ve already heard me refer to Mozy as reasonably-priced, but what exactly constitutes reasonably-priced in the world of data backup? I signed up for the $4.95/month option, but there are other ways to tackle it: you can go for a full year at $54.45 or two years at $103.95. Not too shabby – just a few Washingtons over Carbonite’s $54.95/year package. Carbonite does offer the 15 day free trial. What’s Mozy’s response? Offering up to 2 GB of backup for free. Tough to make a call between the two at this point. I selected the button that nearly says “Download for the Win” and got started in a flash. This being my first experience with using online backup software, I wasn’t quite sure what to expect from the installation process. Did Mozy need to get into every folder in my computer, throwing its tentacles around my every file? Did it need to plug in to my passwords? As it turned out, the installation wasn’t quite so scary, and it installed much like any other program or game would install itself on my computer. It wasn’t long before I was looking at the opt-in screen and was ready to type in the username I had already supplied when I downloaded the software. At this stage, it was difficult to tell if the potential lag was due to my computer’s own problems or due to the Mozy software itself. I’m going to give Mozy the benefit of the doubt since it looked like it was my computer that locked up and slowed Mozy down in the process. Should Mozy take this kind of time to log in automatically every time you start up your computer, it wouldn’t be the greatest pleasure in the world. With very few problems so far, it was time to examine the meat and potatoes: after all, Mozy’s here to backup files, not dazzle me with pleasant downloading experiences. So how did Mozy fare in this stage of the game, especially for an admitted backup-software rookie? First, it wanted me to start off with a bang – backing up all of the files that I presumably did not back up in the dark days before I downloaded Mozy. This was a nice little ice breaker, except that I wasn’t exactly sure what to do. As I would find out, Mozy was actually good at finding things like “Word processing documents,” bringing much of the files together to one place so I could have them all backed up if I needed to. Even so, I trepidaciously moved on without allowing it to do any backing up yet. From there, Mozy would reveal its Home bar, which is a bit graphically challenged and utilitarian in nature but actually does seem to provide some good options. As you can see, some of the toolbar options – like Schedule, for example – are actually exactly what the doctor ordered from a backup system. You can customize your backups to reflect the amount of work you do on your computer – it might help to be mindful of the kind of lag this can create on your computer, however. An interesting function of Mozy was a customization of your backup process that lets you choose how much your backing up actually effects your computer’s performance. Want to get it all done at once while you’re sleeping? Set it that way. Working while you’re backing up? Set it to allow your computer to run faster. It wasn’t long before this rookie figured everything out and backed up his first file – admittedly, I didn’t give Mozy a big challenge here (1.3 KB is about as small as files get), but it did run smoothly. After backing up my minuscule file, I was able to go ahead and find where to restore it should I need to restore it. Quick, painless, and fairly easy. Overall, Mozy seems to be a Spartan, no-frills program that doesn’t try to take up more of your computer’s memory than it has to. For about 5 bucks a month – and around 50 bucks for the full year – it could be well worth your money if it saves even just a few of your important files. Overall, I’d say the positives outweighed the negatives. If you want your online backup to be fun, you should probably be playing a computer game instead. Carbonite is $55, not $49.95. If you try and end your account with mozy pro, forget about it. They are like the old AOL, once they have the credit card they do not make it so you can cancel. Not anywhere online to do so and I called twice and they still have not sent me the email they promised (over a week now) to cancel. Thanks for the information. I was using Mozy, but needed to backup 4computers and they were going to require I pay 4.95 for EACH computer. I ended up using MyOtherDrive.com because I can now backup all my computers using the same account. Whoohoo! All that “logging in” which you saw, can cause problems if your ISP happens to charge for outgoing as well as incoming data. We had one client trying to use MozyPro, which caused no end of trouble because of this Logging in problem. The service would accept the login, then after collecting about 15GB of data – for the first backup – would disconnect; and start the whole process over again. This customer had a 50GB per month limit on their ISP account, and broke through that after the first weekend when we started the backup. That error caused this customer to be charged an extra $40 that month for Internet connection. We have another customer using MozyPro who absolutely loves the services. They currently have more than 90GB of data backed up. On more than one occasion already, MozyPro has saved the day. It appears the quality of your own internet connection has a lot to do with the backup experience with MozyPro. While trying to work through these errors, the support staff at Mozy could not be more helpful. We terminated the account with our problem customer without any trouble at all. We had multiple emails from support asking what else they could do to try and retain the customer, but we still canceled. I bought Mozy as a backup backup – that is, I have Apple’s Time Machine and also Mobile Me running backups. But Time Machine is located in my office, so one fire or theft and everything is gone. Mobile Me backs up my mail and contacts type of data, but not my work and personal files. Mozy, I thought, would be a good way to have an offiste backup in case something goes horribly wrong with the first two systems. At $4.95/month for unlimited backup, Mozy seems like a great deal. But that’s only if it works and the files are backed up. Installed and started exactly one month ago, I’ve had numerous problems. The first indication was when I noticed that despite a “Your files are backed up” message, there were errors in the logs and history. Hmmm. Files are NOT backed up. Mozy would report “Account in use” or “Server#” errors. 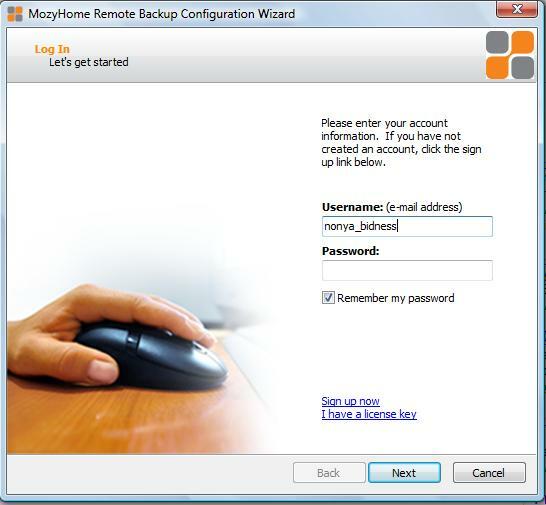 With no telephone support, their online database advises restarting your computer and restarting the backup. I tried this for a couple days, multiple instances, and finally emailed Mozy Support. A day after (or was it two?) after sending my email, I get a canned response saying my support ticket had been received and assigned, and someone would contact me within 24 hours. OK, now that’s 3 more days with no successful backup. And the ensuing support, with having opened multiple help tickets, consisted of someone (I suspect overseas) copying & pasting in what appeared to be the same type of non-help I was getting from their online help database. Basically, mail them the logs (I did). Restart your system & backups (I did). 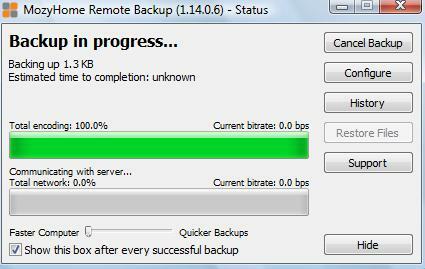 Eventually my backups are now saying they have completed successfully. This was with no changes on my side. Was it a Mozy server problem? A “fix” without knowing what went wrong, or how it was repaired, doesn’t feel like a fix. It feels like I’m waiting for the next thing to go wrong. At this point, I don’t trust my Mozy backups. But I’m letting them run anyway, because $4.95/month seems like a good gamble (yes, GAMBLE) on possibly having some files backed up sometimes. Just for the record, I’m running on a brand new iMac, backing up 45 GB of data. Neither spec seems like it should tax the Mozy systems. I strongly advise any Mozy users to frequently check their logs and history files. mozey on down and back it up! sounds like the first online back up service i seen, so that’s cool. i only ever thought of backing up through some service providers but then a lot of them state that service shouldn’t be used in that way. I have used Mozy for the past 9-months simply b/c no other inexpensive online backup options exist for those with large quantities of data 250 +GBs and who run Power PC based Macs. During these 9-months I have experienced nothing but problems. The mozy client consistently has issues of failing to recognize selected files as part of backup sets (therefore not backed up), runs redundant full backups (takes 2-3 weeks) during which time new and modified files are not backed up, conflicts with other programs (including Time Machine), and spontaneously removes previously selected files from backup sets. Countless hours chatting with customer service and updates to the client software have been largely unhelpful in resolving these issues. In short, I have found Mozy to be highly unreliable, but the only low cost option available. So, I have forged ahead in hope that one day they will get it right. Mozy stinks. I had trouble from the start – backups not going to their server, file retrieval failed. It never seemed to work properly. And when I contacted support, I was ignored. No response to my e-mails, no one answers their phone (kept getting voice mail). AVOID THEM. I’m trying Backblaze, hope they do a better job. Mozy worked fine for me…until I needed it. What a horrid, painful product! And the fact that those with whom I spoke did not speak clear English was not helpful either. So I tried to cancel. That was nearly three months ago. Yet I am still being billed $4.95 a month. No way to stop it. I have spent literally hours on the phone trying to cancel. No luck. I am awaiting the class action suit which will require them to allow cancellations. I’ve had similar problems as Calico Salsa. And this is after starting with a brand-new iMac. Despite a “Your files are backed up” message, there were errors in the logs and history indicating that the files were NOT backed up. Mozy would report “Account in use” or “Server#” errors. Mozy support is not responsive nor articularly helpful in resolving my issues. I have grave concerns about the software’s capability to restore my files in the event of a failure. 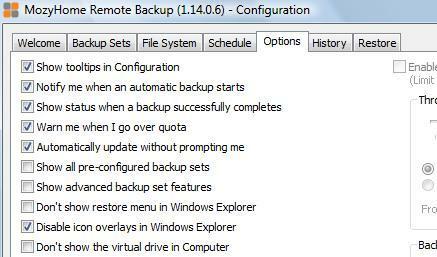 (2) When I do remember to start up a backup (like now) it pretty much runs for HOURS. Even when I shut down all other applications. (3) Maybe a good e-Detective could find out what’s happened at Mozy and let us know. After signing up for the MozyPro and paying for same, the installation completely failed. Tried to contact Mozy support; impossible. But Mozy charged my card. Continued trying to install, continued failures. Mozy charged my card anyway. Mozy support finally responded, their only suggestion was to re-install. After two days of….waiting….and waiting…..and waiting……Mozy simply stalled. Tried to contact Mozy support. Then notified Mozy I was cancelling service as was never able to use after multiple attempts. Mozy said ok, and…. charged my card. Complained again, and Mozy finally agreed to close the account and refund the payment. Jump forward several months later…. 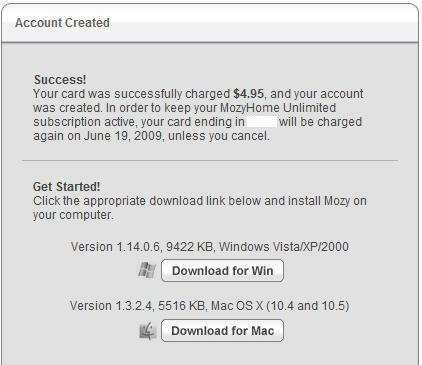 Received email notice that Mozy has again charged my card for “full service” for a year for my “account” that I do not even have with Mozy. Apparently Mozy keeps all card information on all accounts, whether open or closed, and simply continues to charge until caught. Contact with Mozy to prevent this is all but impossible. The only way prohibit Mozy from continual charges against your bank account to completely close out your bank account and re-open a new account under different numbers unavailable to Mozy; all at your own cost. Do NOT buy Mozy, Do NOT subscribe to Mozy and above all NEVER provide any payment card or bank account to Mozy as Mozy will drain you dry long after you no longer have an account with them. Agree with the previous poster, I was not able to do an intial backup of a mere 67MB (yes, that’s all I wanted to back up). I closed my account the same day following the email instructions they sent me, but I am still fighting to get my money back (my emails to support go unanswered). Shame on them. I am using a different service, backblaze without any problems so far. Anybody ever heard of an external hard drive? An external hard drive does not help you in the case of a fire or theft. I am having difficulty with contavting Mozy, which I purchased last week. There is a home page that prompts me to go to customer service, but it dies nothing. Any help (phone # or email) would be appreciated. Mozy is not worth 1.95 on a good day. I paid for a year then it just disappeared from my computer. No one at Mozy could figure it out, in fact, the weren’t even familiar with Macs. So then they just started ignoring me instead of trying to get to the bottom of it. It was incredibly bad customer service from a company that only wants your good money, they don’t provide any service. Mozy is so costly.I switched to Safecopy backup because they are cost effective and so efficient.